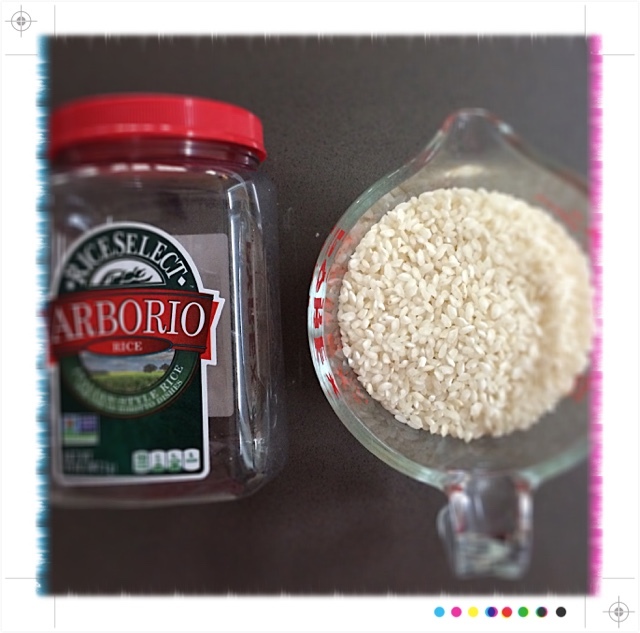 One of Jon's favorite meals is risotto any which way he can get it--mushrooms and chicken, or spring vegetables with goat cheese--but; add whatever you want once you learn the basic process! 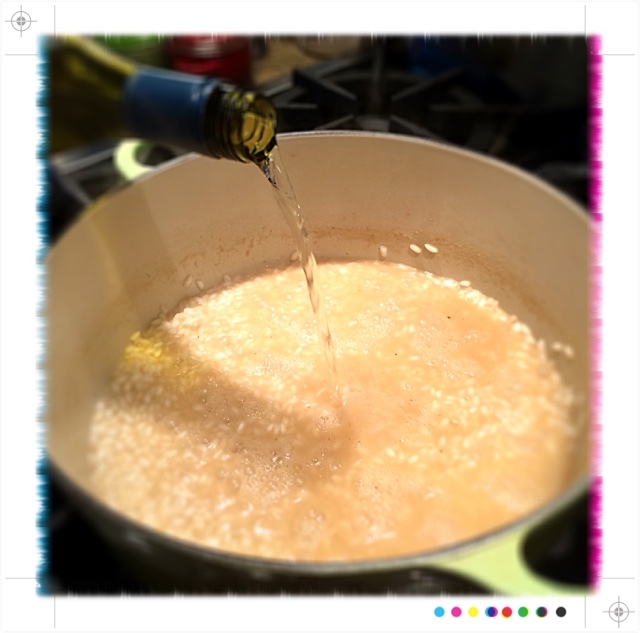 As a forwarning, risotto is not hard to make, but, it does require your full attention and a watchful eye with constant stirring! 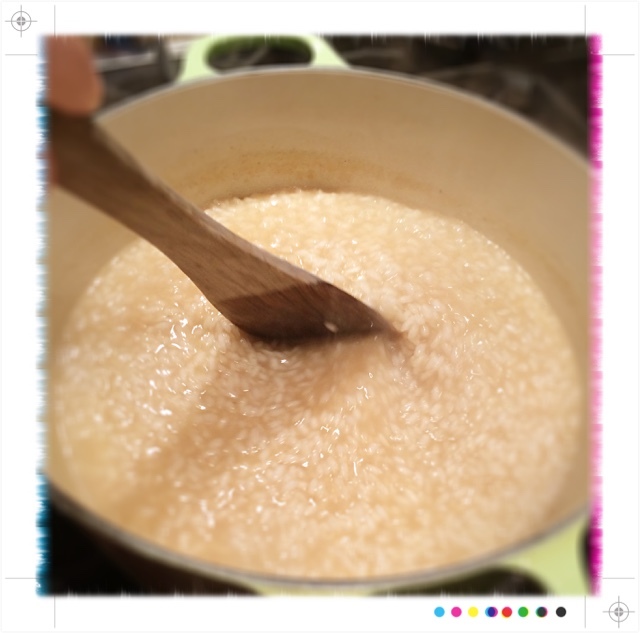 Preparation and practice are key to making great risotto. Read the recipe. 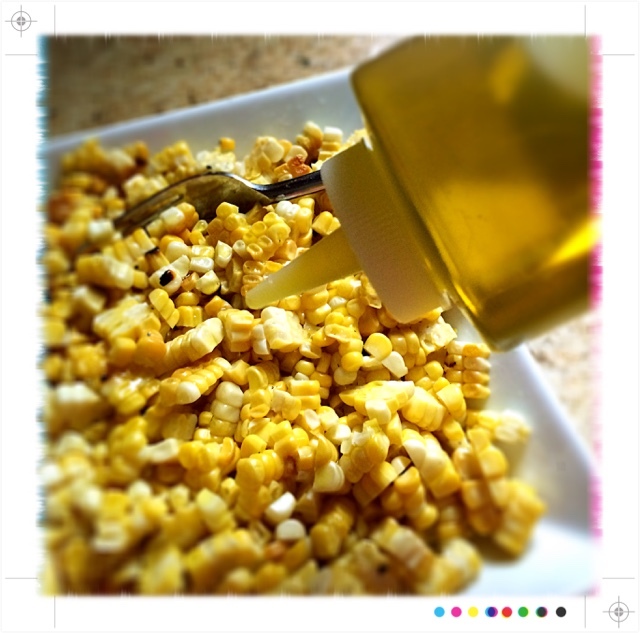 Prepare your ingredients (especially if you are grilling the corn). Stick with it. 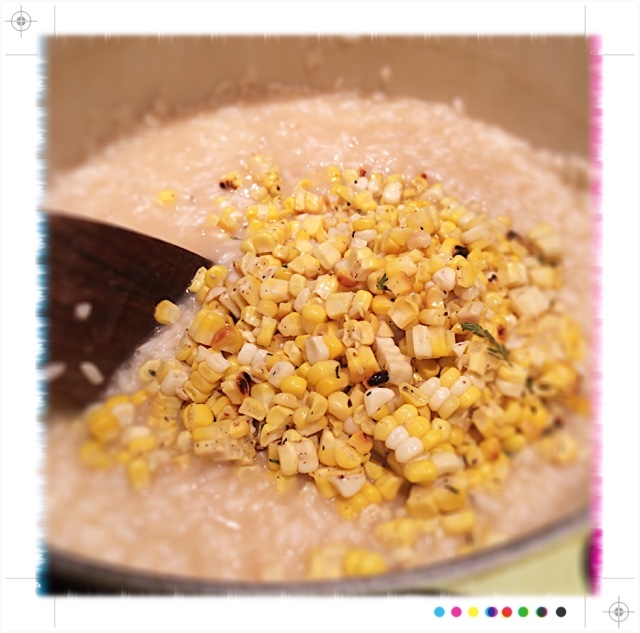 Just don't throw in the towel if it doesn't quite taste like home the first time you make it! 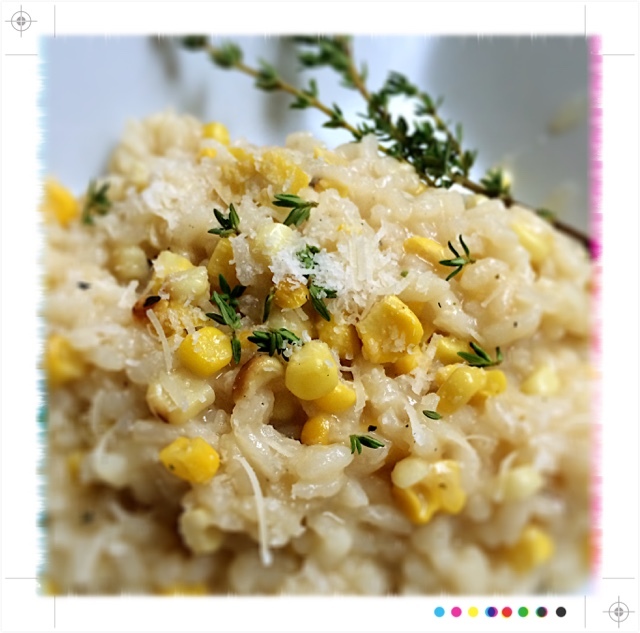 Risotto is a stand-alone meal or functions as a great side dish. In my opinion, it is certainly one of the best leftover meals to have sitting in your fridge! 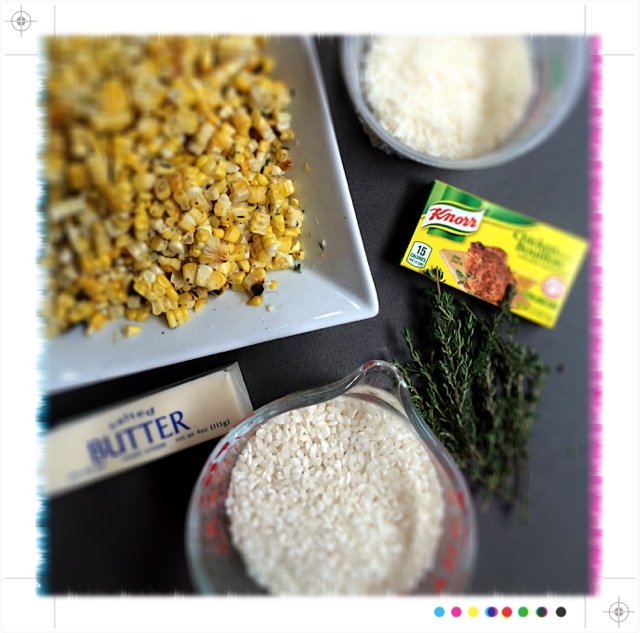 Ultimate comfort food! 2. 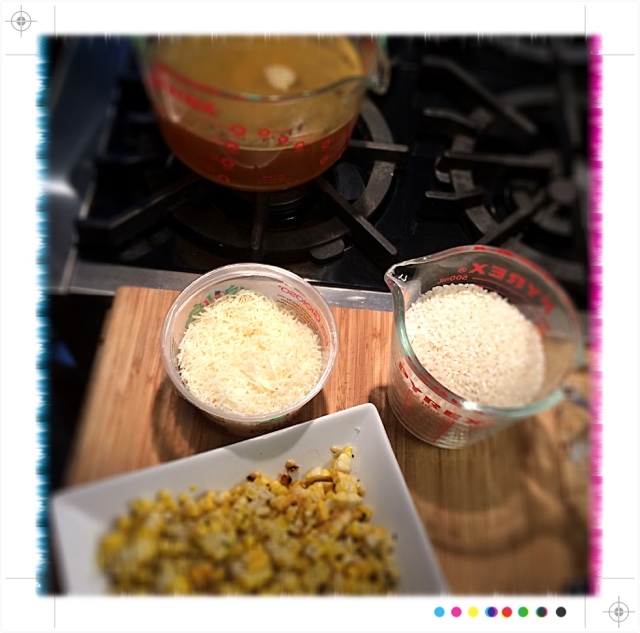 Measure and prep all of your ingredients before you heat your skillet and start. 3. 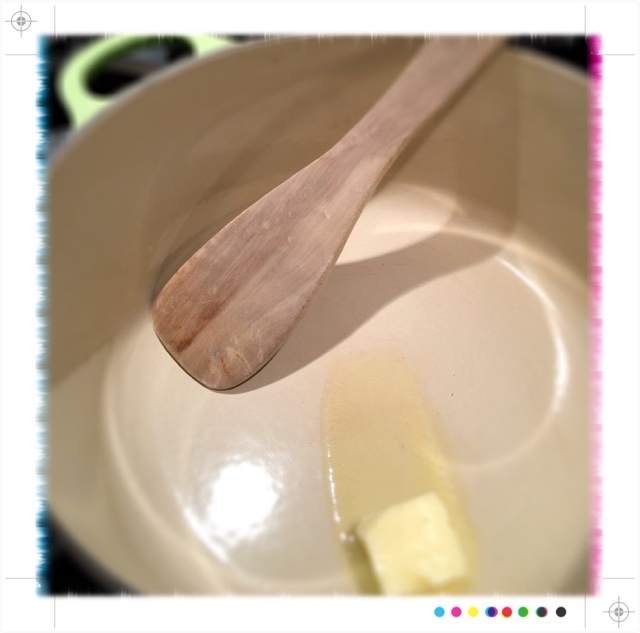 Heat 2 Tbls of butter in your large Dutch Oven or Saucepan over MED-HIGH heat. 4. 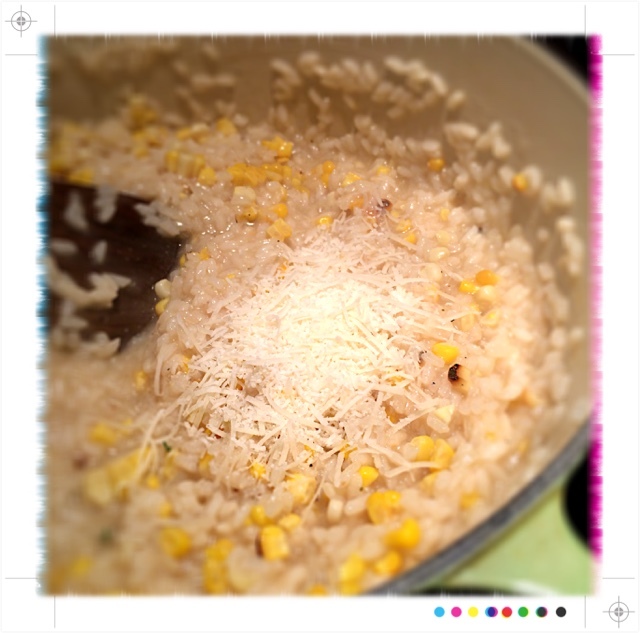 Add the Arborio rice and ensure all kernels are coated in butter. 5. 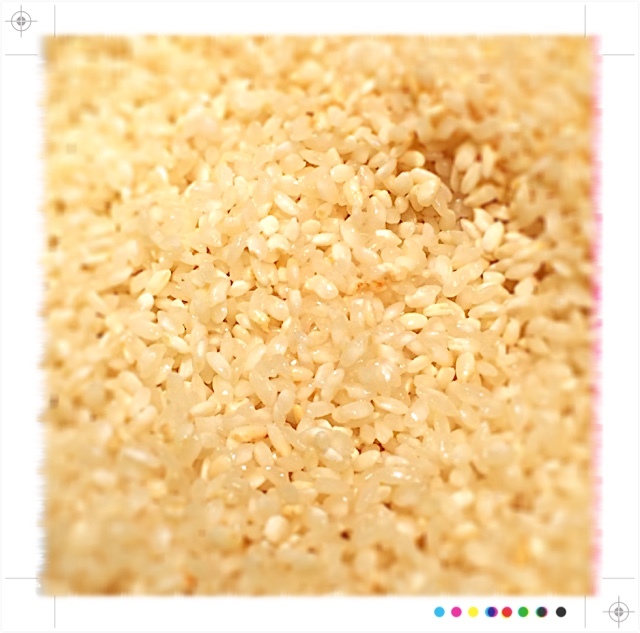 Watch for the rice to turn from shiny off-white kernels to a faint yellowish-brown. 6. 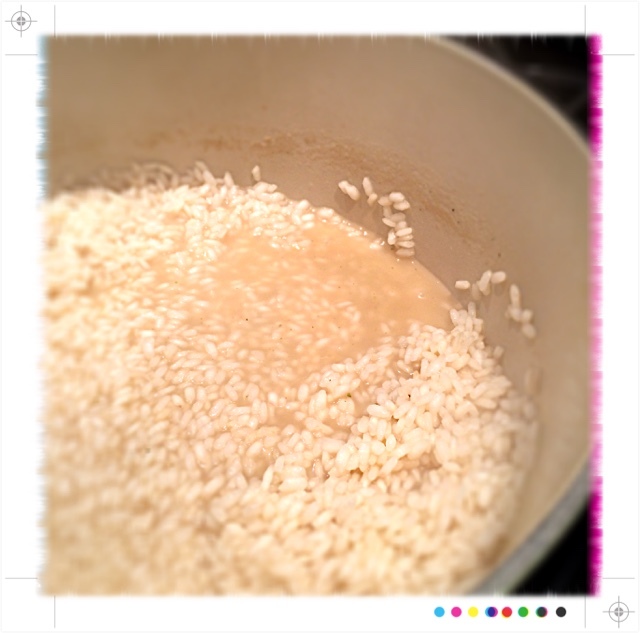 Add your first amount of broth to barely cover the rice. 7. 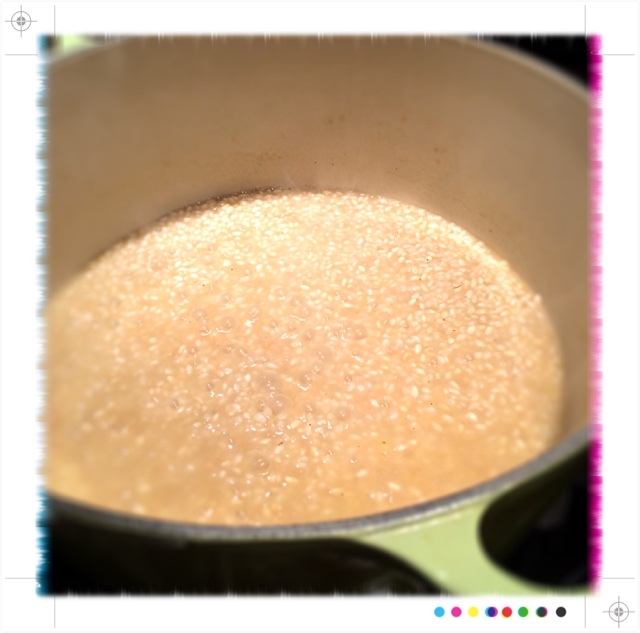 Turn heat to MEDIUM for a steady simmer. 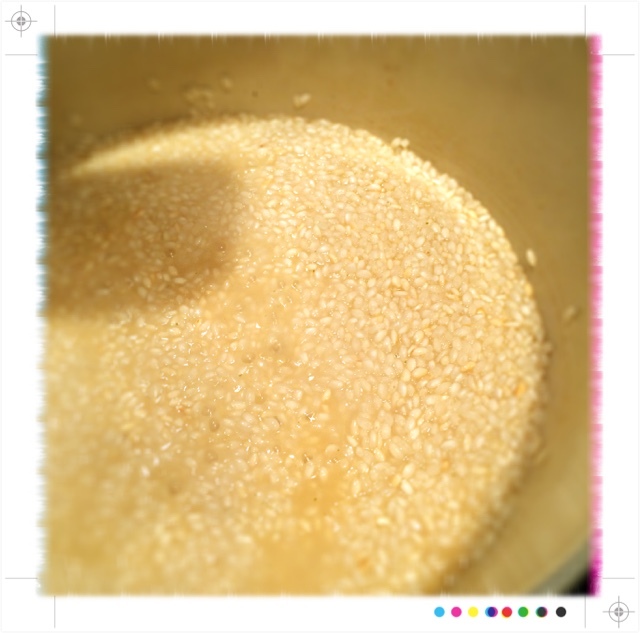 And stir in a figure-eight pattern. 8. Do not walk away. 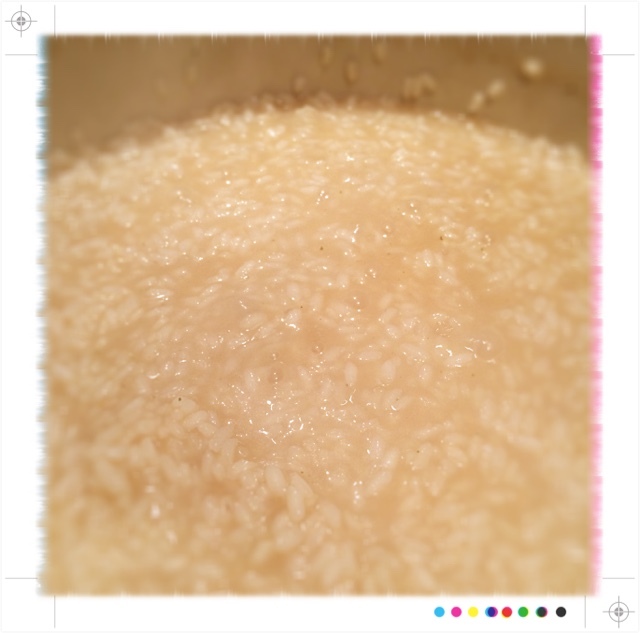 Allow the liquid to reduce until rice is visible again. 9. 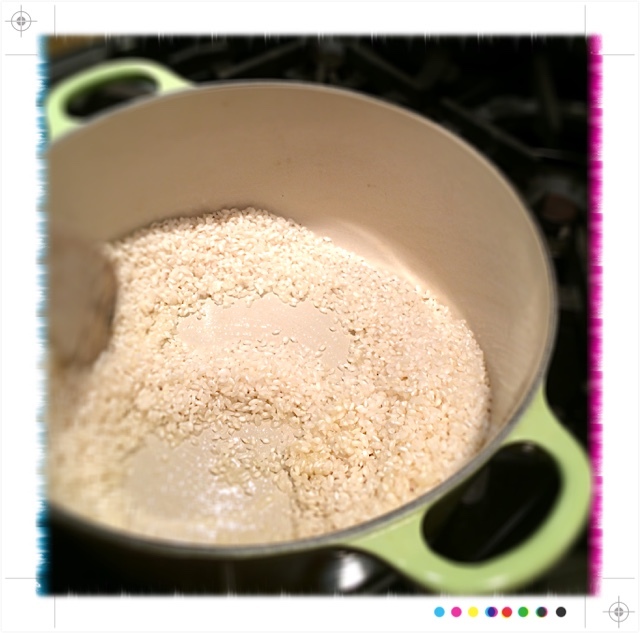 Repeat the process of adding enough broth to cover rice and reducing liquid. 10. 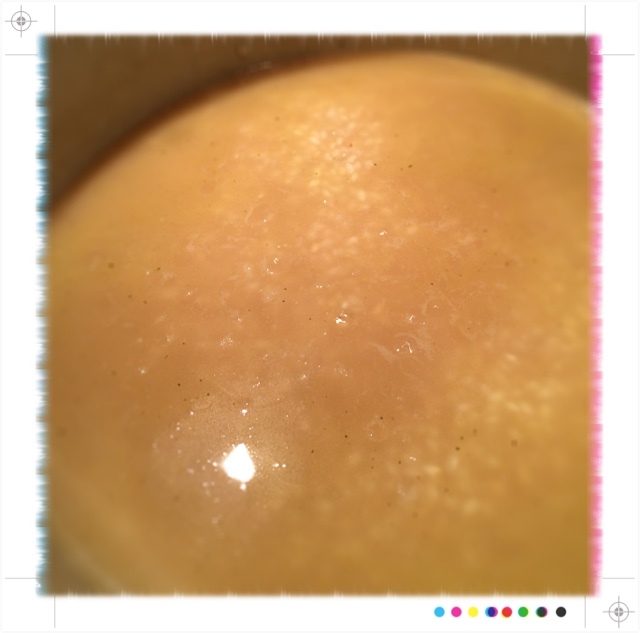 After 2-3 cycles of broth reduction add 1/2 cup of wine. 11. 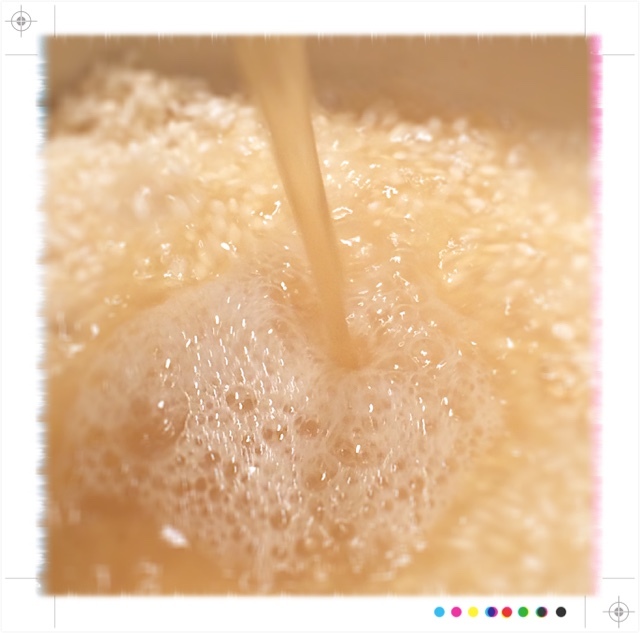 Continue stirring in figure-eight fashion until a thickened liquid begins emerging. 12. 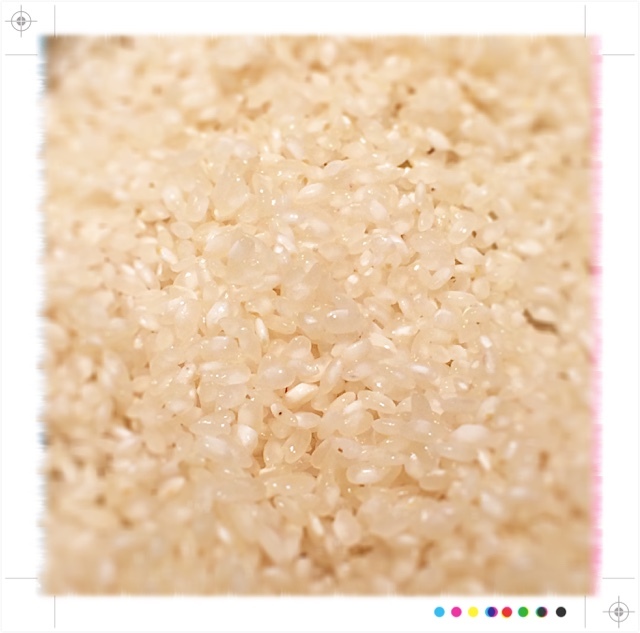 Check the consistency of the rice--some like a tiny bit of bite/firmness 'al dente', others like it softer. 13. 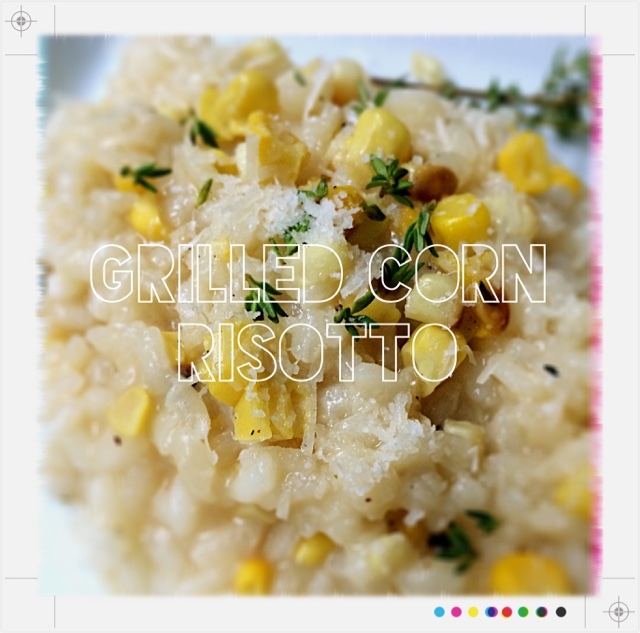 Add the extras--in this case: Grilled Corn. 15. Season one last time with salt and pepper and thyme. Definitely worth sharing.